Moreover, it’s not just the women who do this. 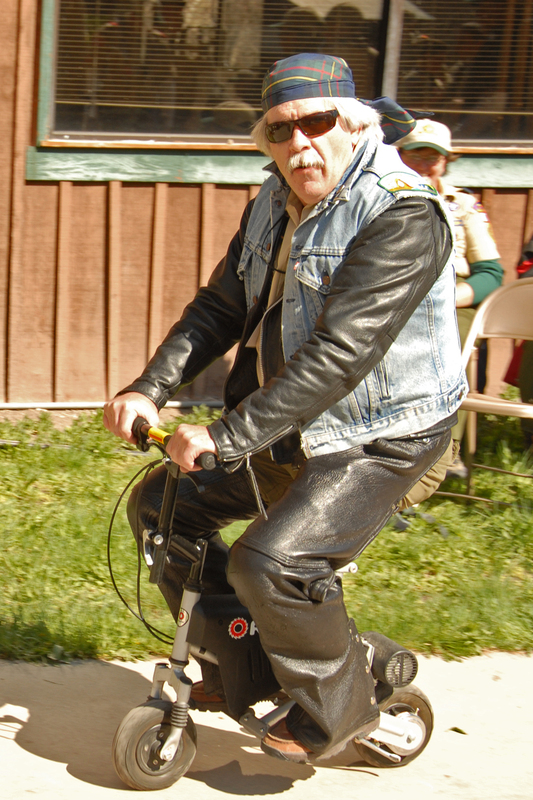 So in response to years of demented looks, I’m going to explain why I like going to Wood Badge. I suppose it’d help if I knew exactly what other people think Wood Badge is like. I suppose the women (and men?) envision camping in a roughing-it sort of way — sleeping in tents, cooking over an open fire, going days without showering, etc. Perhaps, the thought of being stuck in the mountains with a bunch of men for six days is what repulses my female friends. Perhaps, they are concerned about an inordinate amount of knot tying? 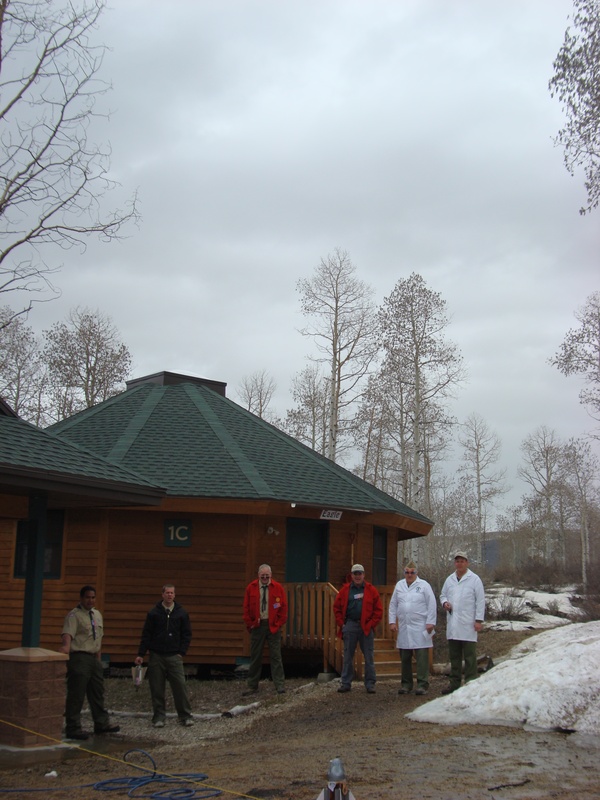 In this council, there are two kinds of camping experiences at Wood Badge. One is the Ritz-Carlton version of Wood Badge. 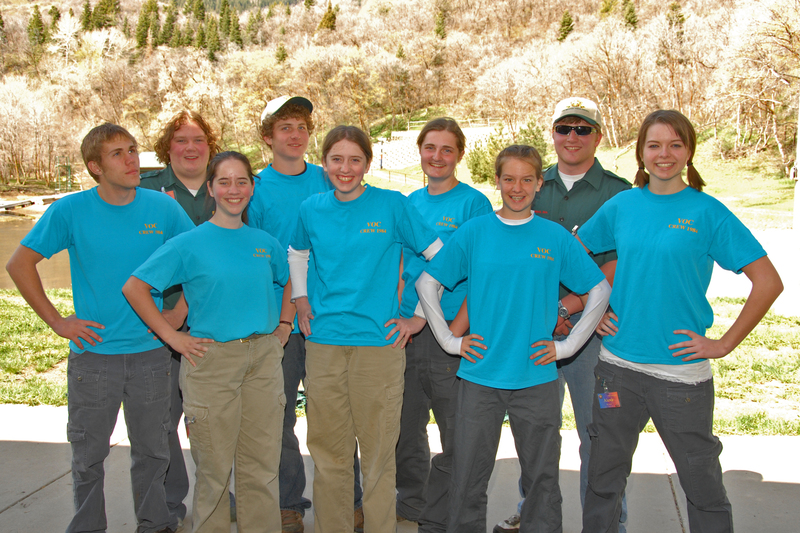 These courses take place at Heber Valley Girls Camp. Everyone sleeps on bunk beds in cabins that heat up nicely with a space heater. Hot showers are just a hop, skip and a jump away. I went to Wood Badge in Heber Valley last year, and it is very comfy. Someone could become a softie by doing WB at Heber every year. The other kind of WB experience is in tents, and I did sleep in a tent for two nights the first time I went when I was in training. Still, I slept incredibly comfortably because the men were very concerned for the comfort of the ladies, and they hauled twin-sized, 5 or 6 inch thick, cot mattresses up to our tents. They actually brought the cots up, too, but I opted to just put my mattress on the floor of the tent. If it hadn’t been for the leak directly above me, I would have been perfectly comfortable. Fortunately, it was a small, slow leak on that rainy night, and I was able to sleep through the night quite well, with a towel across my chest. That was the last time I stayed in a tent because as a “staffer” I don’t have to stay in a tent. We women staffers get to stay in cabins similiar to a two–bedroom apartment. 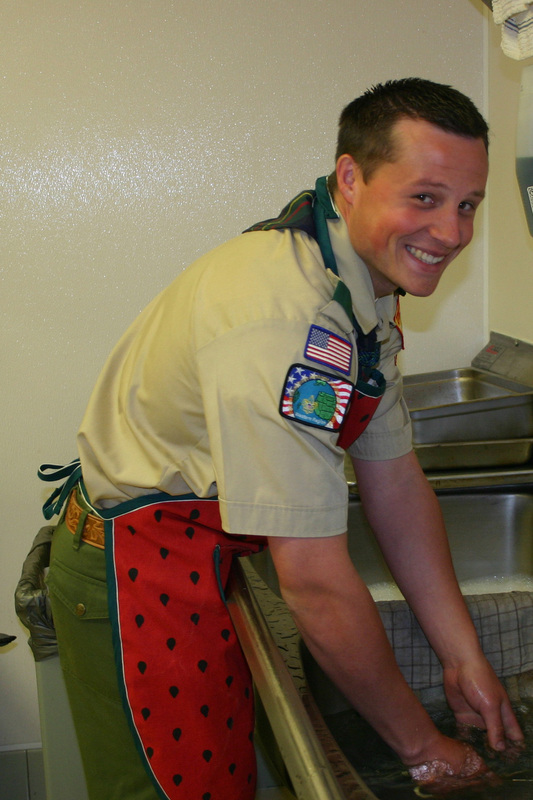 Therefore, at wood badge, I don’t have to really camp–or cook. All the cooking is done by the quartermasters, and I’m never going to be a quartermaster. As for spending a week hanging out with 30 – 50 men, it’s actually quite pleasant. I like the lack of hormones and that there aren’t emotional outbursts or hurt feelings. I like always being first in line to eat. Well, I don’t really like it, but it happens anyways. When you do show up to eat, you stand at the end of the line, and then every man in front of you makes you step in front of him. Before you know it, you’re at the front of the line. Quite honestly, I get spoiled rotten at Wood Badge. The cooks cook, and the participants clean. Coming home is the rough part. The other great part about these individuals is two-fold. First, there are the amazing men who know and love Scouting, and then there are young men who have the vision. The people at Wood Badge are competent leaders, talented presenters, and spiritual individuals. One such man, Rob, is a walking campfire program. On a moment’s notice he can perform one of I-don’t-know-how-many clever stories. It seems he has hundreds of stories to tell. I love working with our course director Rick. I wish he was my boss at work. He is so competent, yet such a big grown up kid. He has the course syllabus memorized – not exactly word for word, though. Rick just knows what is right all the time. Plus, if he isn’t right, I tell him so. He smiles at me, and either lets me be right or lets me know that it’s okay that I told him he wasn’t right, but he still thinks he is right. Then, we laugh and keep on doing what needs to be done. Jeff, our Senior Patrol Leader, has a heart of gold. His life story is amazing. If he was a woman, we would be inseparable best friends. Although, he was a little bit more of a rabble-rouser before he was made a bishop a couple of years ago. And Dennis, (you must indulge me one more) is missing half his middle finger on his left hand. He gives great time signals. “Ya got 4 1/2 minutes” he says, holding up his entire hand. 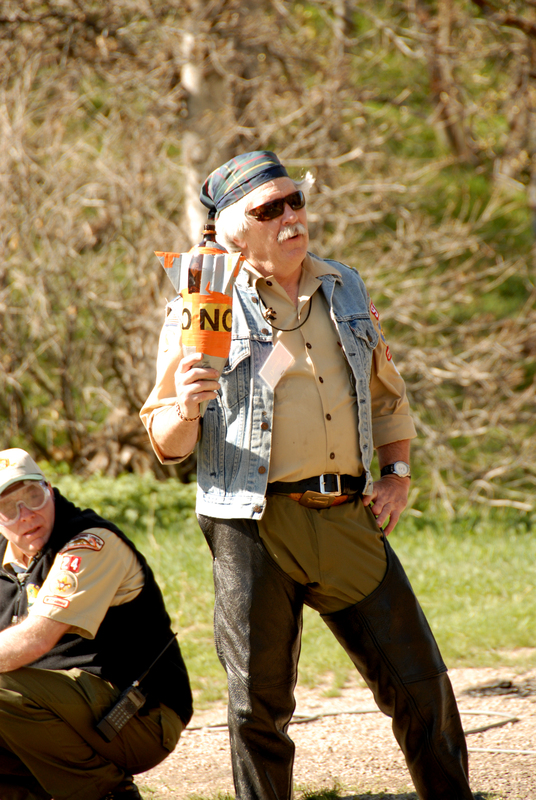 He showed up to the rocket launching a few years ago wearing his motorcycle leathers and riding a tricycle. The guy is hilarious and simply amazing. This is not knot-tying. It is woggle making. Then, there are the participants. Most of them come to WB with some fear, trepidation or deep-seated hostility — like the sweet Primary president who showed up this year at her bishop’s insistence. They think they are making a great sacrifice to be there. However, at the end of the week, they realize it was no sacrifice at all. They have bonded with their new “brothers.” They have come to understand the vision. These individuals have learned how to do their job well and with less frustration. They are full of the spirit. My favorite story was told by a participant who was a young bishop with a young family. He was on a weekend course — two weekends, Thursday, Friday, and Saturday. After the first weekend, he was very busy with his Sunday responsibilities, then his Monday-at-work-playing-catch-up responsibilities. He came home from work tired and worn out. With nothing in mind for Family Home Evening, he knew he needed to do something. He started playing with his kids, and then he remembered the lesson he had learned at Wood Badge about how to plan a good campfire program. Essentially, start things out in a fun way while the fire is roaring, then “follow the fire”. As the “fire” dies down, quiet down the program and end on a spiritual note. He did that with his kids. After he’d played with them and had their attention, he quieted them down, and they paid close attention while he taught them a gospel lesson. This young father-bishop was so grateful for the tool he had gained and for the ease with which he was able to apply it in his life. It was a small example of how Wood Badge affects lives. And at Wood Badge, I get to hear lots and lots of amazing stories and testimonies. 2009 Beaver patrol and their beaver tails. They wore them like this for DAYS. Finally, it’s important for me to discuss the lessons. We don’t spend the week learning how to build campfires (maybe we should), tie knots, lash latrines, or carve neckerchief slides. We study leadership. The lessons taught at WB are on team development, project planning, leading change, vision, mission, and values. They are based on leading theories and skills taught in the business management world today, but we apply them to raising young men to become great leaders in the future. AND then my kids come up for a day and make me look good as a mother. This is the crew from 2007. When I first became a scout leader, I went to Roundtable (monthly training meeting), and I saw someone wearing a leather strand with two wood beads around his neck. I wanted one of those – immediately. “How do you get those beads?” I had to wait 10 years before I could go earn those beads. When asked why I was at Wood Badge, I replied “I’m here for the beads.” But, I was really there because I knew that those with the Wood Badge beads represent the very best in leadership. Wow! I’m ready to go get a Wood Badge now. It is always so inspiring to see talented and strong women participating in Scouting. It provides such a good example for boys and girls, men and women, everywhere. Thanks for sharing! 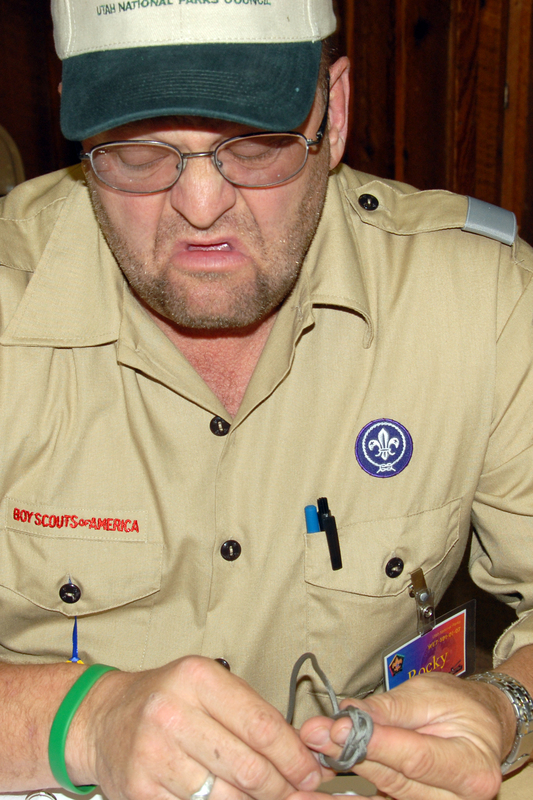 I’ve never been to Wood Badge before, but you definitely have a passion for it. Are there many other women that come? 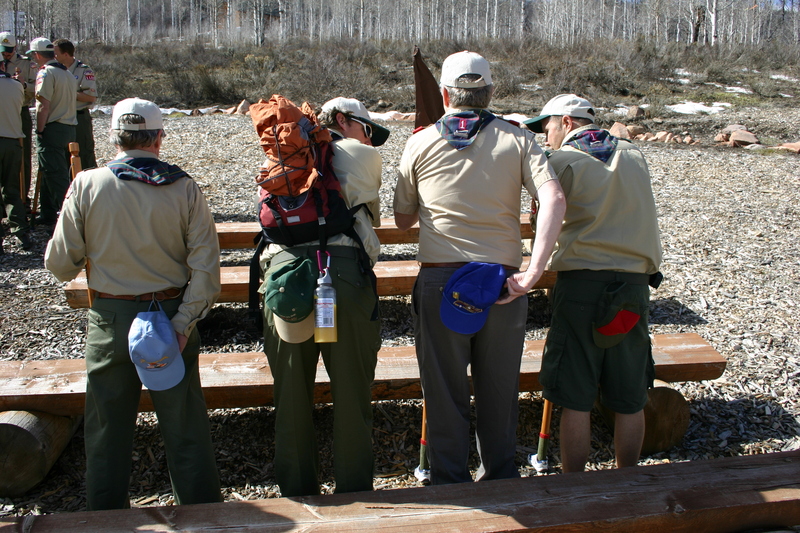 Wood Badge is a life changing experience whether you go as a participant or on Staff. I jump at the chance to serve on Wood Badge Staff. You get to hang out with some of the best people on the planet and they teach you as you teach them. Sharing stories and talking about how to change the lives of youth is amazing! I used to be a Beaver! Wood Badge has been an Amazing , Fun/Spiritual Experience for me!! i definitely recommend leaders to go to Wood Badge is such a great opportunity to learn how to be better leaders. Also teaches you how to guide the youth, to help them became better leaders and Citizens. W4-33-18 wood badge padawan, still earning my ticket. I have met some of the best people through wood badge. You can never truly know until you’ve experienced it. BEAVERS! YEAH! My greatest joy as a staffer and course director is seeing participants living the vision and bringing their vision for scouting to life. Wood Badge is an awesome leadership opportunity for Scouters. I say do it early in your scouting career. Back to Gilwell happy land.